NorthWind Database Class Objects Generated! 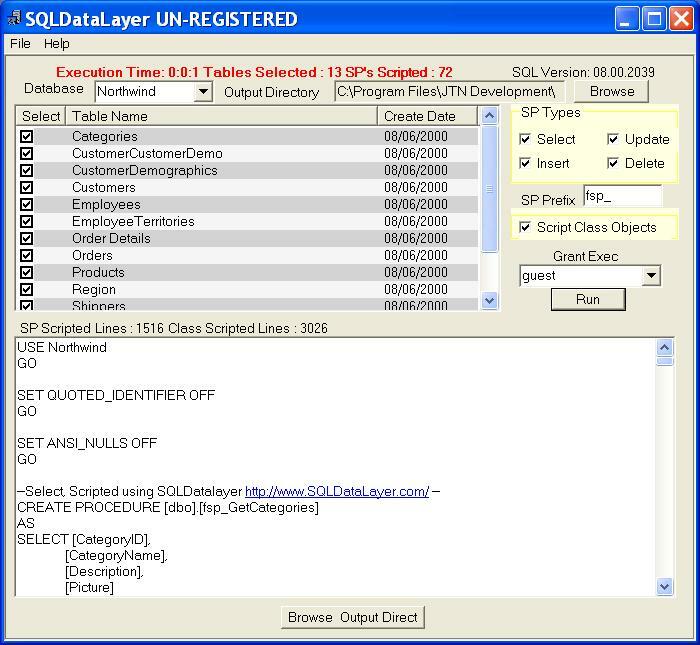 Select the table name on the left to see the associated Class Object, created using SQLDatalayer. Notice in the screen image the Execution time of 0:0:1 (1) second to script 13 tables, scripting a total of 72 Stored procedures. Total lines of all the Stored Procedures: 1516 and a total of 3026 lines in the Class Objects. SQLServer Class is used by the Data layer Class Objects created.